The original scheme was criticised by the United Nations. ISRAEL HAS REACHED a deal with the UN refugee agency to cancel a controversial plan to deport African migrants and replace it with a new one that will see thousands sent to Western countries. A minimum of 16,250 migrants will be resettled in unspecified Western nations under the agreement announced in a statement from Prime Minister Benjamin Netanyahu’s office. Netanyahu in January announced the implementation of a programme to remove migrants who entered illegally, giving them a choice between leaving voluntarily or facing indefinite imprisonment with eventual forced expulsion. According to interior ministry figures, there are currently some 42,000 African migrants in Israel, half of them children, women or men with families, who are not facing immediate deportation. They are mainly Sudanese and Eritrean. As the migrants could face danger or imprisonment if returned to their homelands, Israel offered to relocate them to an unnamed African country, which deportees and aid workers said was Rwanda or Uganda. Today’s statement said the new plan meant there was no longer a need to send migrants to unnamed third countries. 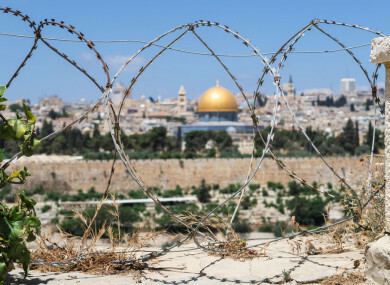 The plans had drawn sharp criticism from the United Nations refugee agency as well as from some Israelis and rights activists. The migrants’ presence in Israel has become a political issue, with Netanyahu referring to them as “not refugees but illegal infiltrators”. Email “Israel will send refugees to Western countries as deportation plan scrapped”. Feedback on “Israel will send refugees to Western countries as deportation plan scrapped”.